SMC was organized by the Government of Pakistan on the recommendations of the President of Islamic Republic of Pakistan in 2006. It is positioned at Faisalabad road, 2. 5 km away from Sargodha Faisalabad By-Pass. This is a constituent college of the University of Sargodha. The Government of the Punjab, Health Department has announced the DHQ Hospital, Sargodha as Allied Teaching Hospital for Sargodha Medical College admission section positioned in the middle of the city. SMC provides the degree programs in MBBS, MCPS, FCPS and DPT. The College is accepted by Pakistan Medical & Dental Council (PM&DC) Islamabad, accredited by College of Physicians & Surgeons Pakistan (CPSP), Karachi for MCPS and FCPS degrees. It is somehow not in particular perfection that when SMC will open its entry test examination. Although the good news is for the students of MBBS. Their degree admissions will be opened from September and will be announced on 30 October 2018. 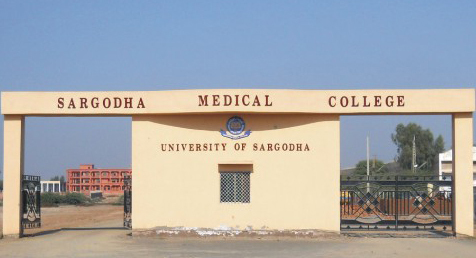 Sargodha Medical College, a most known institute for medical education in City Sargodha and province Punjab. Sargodha is not a huge city and has not many medicinal Institutions but talking about SMC is like talking about a well standard educational Establishment. This perception of SMC is entirely correct that it is the best institution as compared to other institutes. Although getting into the details of this establishment is not much of a tricky thing. First off the person who wants to get admission in this sector of education will want to know about the reviews regarding the faculty staff of this Medical School. Although each and every detail like this will be highlighted under the paragraph with proper guidance and solitude. The readers are highly suggested to keep their visualizing to the point and stay with the lines till the end of the post. The Eligibility Criteria of SMC is totally based on a policy of Govt. of Punjab and Pakistan Medical and Dental College Policy which is passing of Intermediate (FSC Pre Medical) with 60% marks and Entry test clearance is also compulsory in this matter. While talking about the merit list and getting into merit to get admission there is another structure which only shows about how much percentage of different marks a candidate needs to get his or her name into the entry test schedule. The Schedule of this hierarchy is given as; Entry test 50%, Intermediate (FSc) 40% and Matriculation percentage not less than 10%. This is the one and only eligibility criteria which this institution has for allowing students to sit in their premises. There are many other things which include the legal adaptation, which means that raises up the question that, is this institute registered with the top standard affiliation centers from the globe or even in Pakistan. The answer to this will also be given in the post through proper naming and heading protocols. 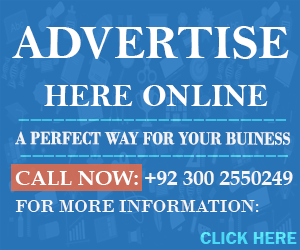 Getting a highly valuable Affiliation center as a sponsor for education is the most required narration for colleges and other educational Establishments. Which University/College is best for MBBS In Pakistan? DPT Stands for Doctor of Physical Therapy. This degree deals with the physical condition of a person. The doctor treats the patient’s physical botherations with various solutions and methods. They are most commonly called for help by people who are aged and do not have strong tendons to work. In Sargodha, DPT is not most organized and not in common agenda or commonly flourished. Although the demand for this degree is very much in fashion. SMC now proposes this degree for the people who want to become a physiotherapist. It offers this program for both self and regular finance systems for the students. Now whoever wants to go for his or her future profession as a physiotherapist can do this degree from SMC. As you previously know that this College is very much obliged and provide very good knowledge and education, it would be a wise choice to get admitted while living in Sargodha. You can apply for DPT in SMC in the upcoming admissions as a clean slate and move on towards fulfilling the credentials to a healthy profession and life. DPT is a Wise decision for the ones who love to put some instant smile on people’s faces. DHND Stands for Doctor of Human Nutrition and Dietetics. This degree is also available in SMC and is working its way to the top in making a dramatic applause in the coming future as a healthy profession. People nowadays prefer DHND as well. In the previous times, not most of the people were aware of this marvelous Field, now DHND is in their options list and it is given priority as well. Although this is also offered by the college and is a good opportunity for medical students. Most of the students do not get admitted to the regular fields and want to go all the way and want to get admitted in Self Finance classes section. Those students can find this information from the administration office of SMC. We will provide the name and address details of Sargodha Medical College down below. Users can either call on the phone number/contact number or go to the provided address in order to get acknowledged with all the details. Criteria is yet not entirely available on any online portal or platform. All we know is that through this College you do this incredibly costly degree worth lacs with just three lacs. Although Self Finance is a bit more expensive than the regular classes. This manifesto is entirely correct on the basis of Fee Schedule of the College. Furthermore, if there is any concussion regarding any sort of information and you cannot find the information which you are looking for, please be very obvious in the comments section and our team will encourage your thoughts and questions and answer your problems in no time. As portrayed above, this affiliation thing is most crucial for an institute. If the building does not have a good affiliation center, it will not have much worth in the market and students will also feel not comfortable getting admitted. Students will look for other solutions and opportunities to get a good education and a powerful degree. These decrees are so intriguing that you have to be very punctual about it. These are the four centers which are also known throughout the premises of the country. PMDC has its very own popularity. Not only in the country but also most of the other states and countries applaud and encourage Pakistan Medical and Dental Council. For many other reasons, PMDC Has made its reach high. PMDC now provides the top Doctors from Pakistan who are currently living the dream and helping people from different regions in health Department or sequence. Thanks for visiting our site which is compatible of Universities Admissions and details. We provide the best information about Sargodha Medical College Admissions 2018. Is there any vacancy of PROFESSOR OF PHARMACOLOGY at SMC? Currently admission for Pharmd-d and DPT is not announced. When admission announced then we have updated on the website. Secondly, fee structure on self base will be updated on the post. Review the post carefully. Can we pay monthly fees?? College accept fee yearly in instalments. Is there any possibility of migration from other medical college to SMC? I cleared Ist prof MBBS in 2004 after that i had to leave studies due to family problems. Please tell me if there is any possibility. plz tell me when dpt admissions will start?? yr d.p.t me apply krny kelye form kahan c download hngy..please btaiye nan. It should be announced in the month of Octo. is smc accept any entry test?? or it has its own entry test???? and what is the procedure of applying?? SMC accept entry test of MCAT. When admissions announced for in SMC for MBBS than you should apply on the base of MCAT test conduct by UHS. First you apply for UHS Exam which is held on Aug and registrations should be start in the month of july. After that SMC announced admission for MBBS. How we can apply ? When ur admisn going to open ? Admission should be expected in the month of Octo. First you appear in UHS Entrance Exam for admission in MBBS. AoA I want to apply in SMC for MBBS. My result of F.sc will be announce on 8th of August 2014. Tell me the last date for submission of forms. My District is Khushab and I live in Wadi-soon-sakesar is there any relaxation in marks or merit for the students living in that area?plzzzz reply. I shall be very grateful to you. W.s if you want apply for SMC then you apply for UHS Exam. UHS Registration last date is 09 August. You should appear in UHS Entry test for admission in SMC. Secondly, there is no special reserved seats or quota for students who live in Wadi-Soon-Sakesar. Currently, admission are not announced. SMC announced admission for DPT in month of Octo/Nov. i want to know about Mphil/M.S admissions of Physiotherapy, when they wil be starting????? When admission announced for M.Phil and M.S then we have updated on the website. m.phil start ho raha ha kia ??? PHYSIOTHERAPY mai???? can v apply online??? and whts the critaria of dpt admission in smc???? You have not apply online for SMC. You get admission form from website and pay bank draft after that sent it to the medical college. WT IZ EXPECTED MERIT OF MBBS THIS YEAR? Wat is the expcted merit of DPT in SMC this year on regular basis nd wat ab0ut pharmacy ??? Every year merit is different Last year merit for dpt should close on 925. 0kay nd wat is the expcted merit 0f pharmacy this year ?? wat is the expcted merit of pharmacy on regular basis this year ?? wat is the expcted merit for pharmacy on regular basis this year ?? can kpk students apply for smc? when will admissions start? Student from KPK will not apply for SMC. Currently admission for DPT has not been announced. When SMC announced admission then we have updated on the website. Yes SMC offered HEC Need Base Scholarship for the needy student through University of Sargodha. So, when you apply for admission then also get scholarship of HEC for needy students. In SMC merit of DPT should be finalized on FSC Marks it not include UHS Marks. Self Finance seats is only for foreign students not local students. Admission For Pharm-D should be announced later. Currently admission date are not announced in UOS. When admission announced then we have updated on the website. how many private seats are there in SMC?? i have secured 75%marks in f.sc but just 650 marks in UHS entrance test. am i eligible to get admission in MBBS??? College has self seats but these seats are reserved for foreign student not for locals. Yes, you eligible to apply for admission in SMC. But all seats are regular not private. You should apply on regular seats. AoA if foreign students can not come n seats r left then can we get admission in sargoda medical college? Brother these seats are reserved for foreign students if foreign not come on these seats. So, at this situation college not allowed locals to get admission on these seats. Sir I got 84.9/.is there any possibility on slf basis for mbbs??? N what is the admission date for pharm-d?sir plz if possible thn hlp me. Self Seat is reserved for foreign student. So, you apply on local seats. Secondly you much chances of admission in Pharm-D. But every year merit is totally different. 20 Seats is for foreings these seats are not reserved for locals students. for addmission in MBBS entry test is compulsory or mandatory?????? SMC calculate merit on the base of UHS Marks. can you please tell me about self support(foreign) seats in sargodha medical college and what are the criteria to apply for these seats whether for expatriate pakistanis. Regards. Foreign seats is not reserved for Local students. Pakistani National will not apply foreign seats. sir..kindly tell me when the adm for DPT are open and when the admz are open ??? Admission for DPT will not be currently open. When admission announced for DPT then we have updated on the website. Yes, you get admission in Pharm-D. But last year merit of Pharm-D is closed 923. Every year merit is different. So, let see where the merit is fall in this year. Hope for Good. is admission is closed in sargodha med college..? When adm are ann0unced ?? AOA kindally can you tell me about the admisions of Allied health sciences or Medical lab technology ?? College only offered Pharm-D, DPT. You will apply for all program expect MBBS. sir can u tell me about the admission date of basics department . Currently admission are not announced for Basics Departments. When admission start then we have updated on the website. sir kia FATA K Students admission k lie apply kr skty hain for mbbs/bds ON SELF FINANCE? REQUIREMENTS ONLY U.H.S test hai ya kuch or bhi hai? Student who appear in UHS Entry Test should only apply for admission in SMC. Secondly HEC announced new admission date for FATA Students. Plz visit HEC Admission MBBS For FATA Student. Aoa sir D-pharm k admision kb hun gey? Currently Pharm-D admission are not announced. When admission announced then we have updated on the website. Sir, My daughter wants admission in MBBS 2o14 on self finance basis(as an expatriate student).She appeared in 2014 MCAT and got aggregate 79%. Kindly guide me the procedure of applying. Is she able to have a seat in your college. Sargodha Medical College select applicant only on Local seat for Pakistan Nationals. Foreign seats are reserved for international students. Kindly confirm when DPT admission will open & which document required for DPT, and please also give contact # for DPT. Admission should be expected in the last of Octo but not confirms. When admission announced then we have updated on the website. Merit list will be announced in Nov and Classes will be start in Dec.
kindly inform me when will be the merit list of health science displayed.and also inform me that is there any possibility to get admission in it by securing 633 marks. When admission announced for DPT and Pharm-D then college display merit list. Currently college has not announced admission date. 633 is not good marks for admission in Sargodha Medical College. Last year merit of DPT shold closed 924.
assalamualikum…admin will u please tell me is there any self finance scheme in sargodha medical college…my agregate is 84 and any chances???? In SMC self Finance seats is reserved for international Students. Dear, you will apply on regular base. sir i was not appear in uhs now can i apply in smc plzz tell me sir??? Last Date of Form Submission 07 Nov. If you apply for BS Allied Sciences courses then you have chance of admission in Sargodha Medical College. These BS(Hons) courses also give you a good future in Pakistan. My aggregate is 55% .. is there any chance of getting admission. ? You have chance of admission in BS(Hons) courses. Because these program are new so you will apply for these programs. i got 920 in fsc should i apply for dpt or pharm D? Dear, you will apply for both programs. But on merit and self both critieria. You have much better chances of admission in Pharm-D as compared to DPT. Last Year merit of Pharmd is 920 on merit and 903 on self. Yes, you apply for admission in MBBS but I have not give you a confirmation of admissions in MBBS. Sir how many merit lists for DPT self support will be displayed this year ? Currently, now expected how many list of self will be display but last year 2 merit list will be display for self. Last Date of Form Submission 07 Nov. You will on the base of UHS Entry Test in Sargodha Medical College. sir how much % require for admission and send about fee detail for self…….?? ?please sir….and I,m from Kashmir can I apply sir??? how much % require for admission? ?and send about fee detail for self?? and sir I,m from Kashmir can I apply sir??.. Currently the fee structure is not updated. This program is announced newly this year. So, its first batch started in Sargodha Medical College. Yes, you will apply for admission for all program expect MBBS. This is government medical college. aoa,sir according to first merit list of uhs I have got admission in Sargodha medical college. now what is the further procedure?? where I have to submit fee and how much fee? plz inform as soon as u can……. Plz tell me that how can I apply for allied health sciences programs in srgodha medicl colg????? And is uhs test aggregate matters for admission in allied sciences programs???? UHS Entry Test is only for MBBS. Admission Date will be extended to 14 Nov and merit list date will be display in the post. First merit list will be display on 20 Nov.
sir ma ne dpt ma addmisn lana h or mare marks 786 hai.mujh self base pa addmisn mil jai ga?????? Last Year 2nd Self Merit list will be closed on 921. So, your admission on self base is not sure. mery fsc me 869 marks hen r metric me b 869…me smc me dpt k liye apply kia h…kya mra wahan self py admission ho skta h???? what is the age miximum age limit for addmission in MBBS????????? According to new policy of PMDC the maximum age limit for MBBS is 35. If Sargodha Medical College plan to start M.Phil in Physical Therapy then we have updated on the website. But currently it’s confirmed when admission announced for this program. I applied for MPhil in biochemistry but unfortunately couldn’t appear in entry test. is there any minor chance I can get admission? I mean if a seat is left vacant??????????????? You can apply in next admission. last yr merit for overseas????????? Is there uniform in sargodha medical clg MBBS???? I want to know about MPhil pathology admissions of 2017?? What programmes offered by uni in pathology? merit is necessary for admission in smc?? Is there any seat on self finance basis in MBBS.